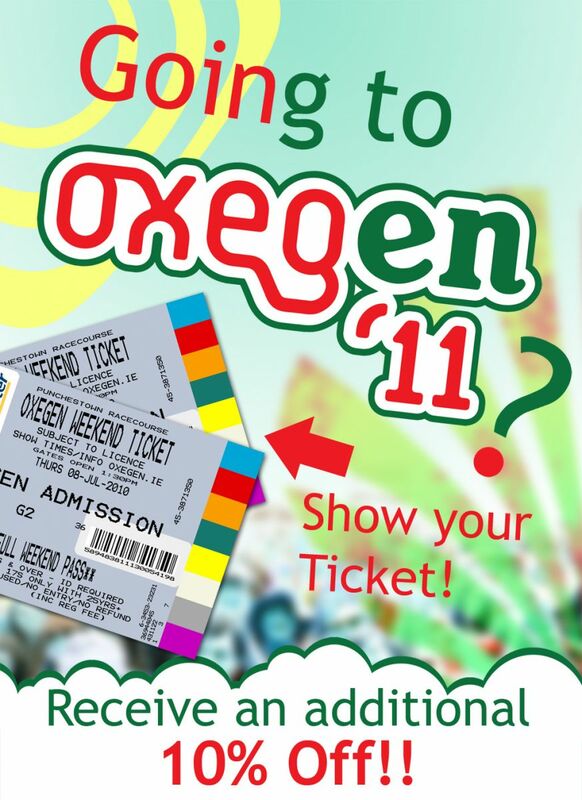 Present your Oxegen ’11 Ticket and get 10% off!! Great! We have everything you would ever need to survive Oxegen ’11. 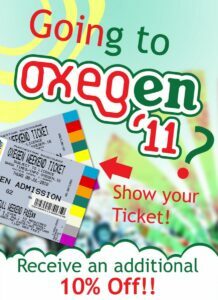 As an added bonus, if you present you Oxegen ’11 ticket in our store on Chatham St. we will give you an additional 10% off any item in our store! !